Airflo Fly Fishing Tackle - Airflo is a leading fly fishing brand, providing high quality fly fishing tackle, fly rods, fly reels, fly lines, leaders and tippets. 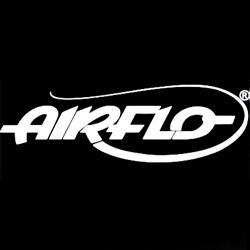 Troutcatchers stock their very popular Airflo Combo Fly Fishing Kits of which sell by the hundred each year. Airflo Fly Fishing Kit, a 'ready to go fly fishing kit' offering outstanding value for money. 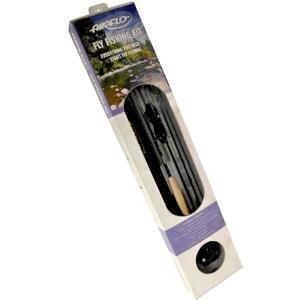 A great kit for river or small still waters, also makes a great 'Starter Fly Fishing Kit' for young fly anglers.The Fishing Kit compromises a 4 piece mid to tip action fly rod with a quality protective rod tube. To complement and perfectly balance the rod, a high impact graphite fly reel preloaded with a premium quality Airflo Velocity floating fly line and backing. You will also find in the Fly Fishing Kit a tapered mono leader, flies, box and sunglasses. Airflo Fly Fishing Kit, a 'ready to go fly fishing kit' offering outstanding value for money. An ideal larger still water or reservoir fly fishing kit. The Fishing Kit compromises a 4 piece mid to tip action fly rod with a quality protective rod tube. To complement and perfectly balance the rod, a high impact graphite fly reel preloaded with a premium quality Airflo Velocity floating fly line and backing. You will also find in the Fly Fishing Kit a tapered mono leader, flies, box and sunglasses. Airflo Fly Fishing Kit Pike / Carp, a 'ready to go fly fishing kit' offering outstanding value for money. A more powerful outfit ideal for Salmon (single handed) or Sea-Trout fishing, but equally suitable for Pike, Carp or Saltwater. The Fishing Kit compromises a 4 piece mid to tip action fly rod with a quality protective rod tube. To complement and perfectly balance the rod, a high impact graphite fly reel preloaded with a premium quality Airflo Velocity floating fly line and backing. You will also find in the Fly Fishing Kit a tapered mono leader, flies, box and sunglasses. Airflo Fly Fishing Kit, a 'ready to go fly fishing kit' offering outstanding value for money. A 'beefed-up' version of the 10' #7/#8 model, where maximum distance is required & larger species are likely to be encountered, whether Salmon, Sea-Trout, Pike or Saltwater. The Fishing Kit compromises a 4 piece mid to tip action fly rod with a quality protective rod tube. To complement and perfectly balance the rod, a high impact graphite fly reel preloaded with a premium quality Airflo Velocity floating fly line and backing. You will also find in the Fly Fishing Kit a tapered mono leader, flies, box and sunglasses.